Greta's all finished, but there are a couple things I didn't write about in my haste to complete the bench build. Here is the portion of the construction process that most concerned me (never having installed a leg vise before) and that turned out to be the easiest part of all. 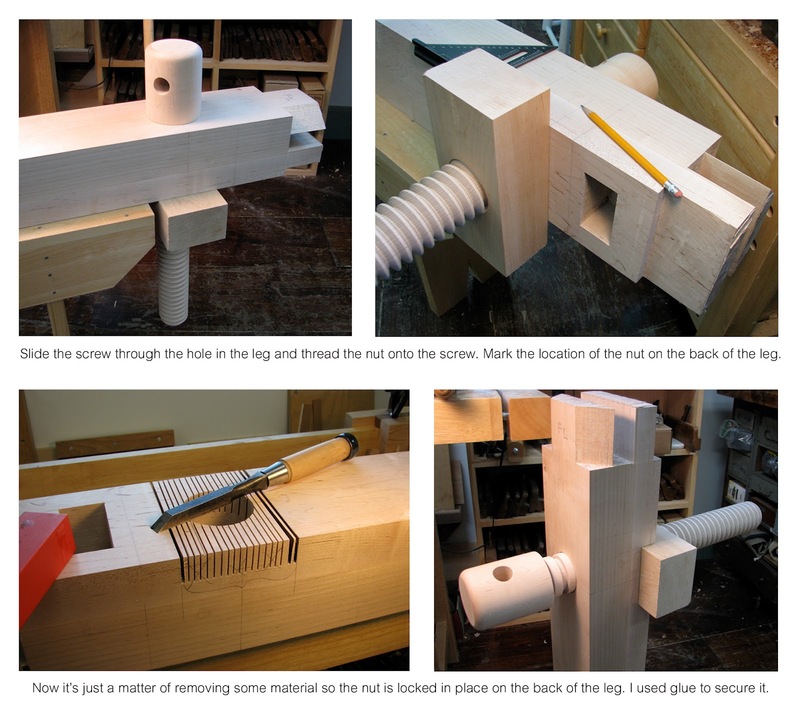 If you've never installed a leg vise, you're in for a pleasant surprise. It's a cake walk. 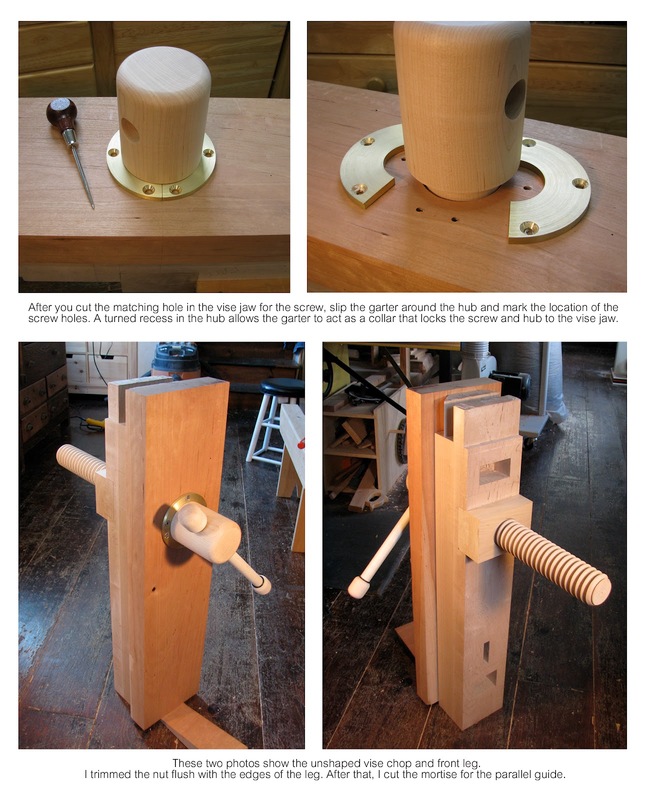 Lake Erie has instructions on its site for installing the leg vise and I also referred to Chris Schwarz' second book on workbenches. 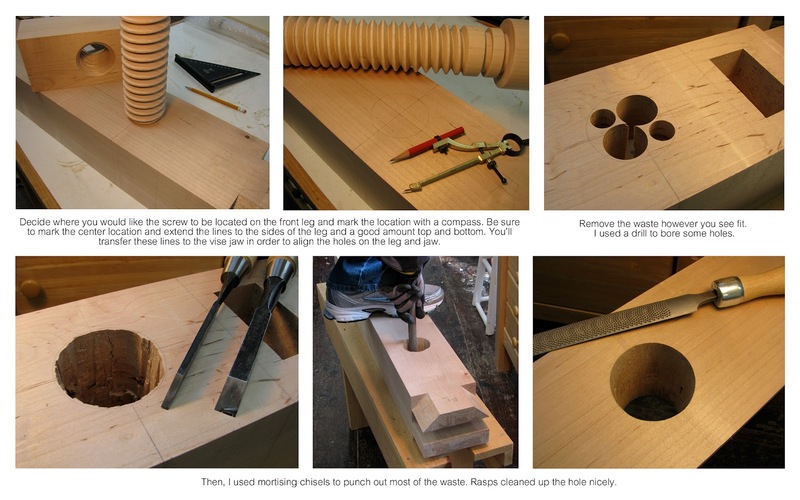 Basically, you cut two matching holes—one in the leg and one in the vise chop—for the screw to slide through. The hub comes with a turned recess around which the garter fits like a collar. When you wrap the garter around the recess, then screw it to the vise jaw, it ensures that the screw and jaw move in and out as one unit. To determine the location of the nut on the back of the leg, just slide the screw through the hole in the leg, then thread the nut onto the screw. Trace the location onto the back of the leg, then cut a mortise however deep you like (mine is an inch deep) in which to secure the nut. 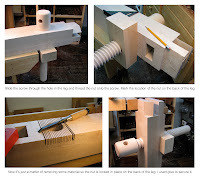 I glued the nut in place and trimmed it flush with the sides of the leg. 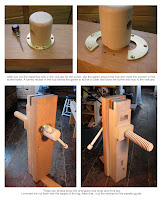 After that, I cut the mortise for the parallel guide. I did all this before gluing up the end assemblies. It's much easier to handle this operation when the bench is still unassembled. On another note, I can't tell you how invaluable my little saw bench was in building Greta. 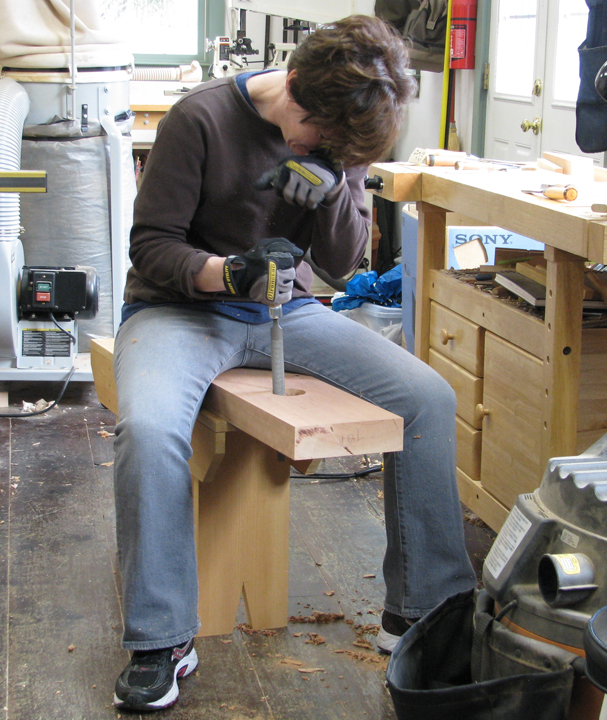 It's much easier on your legs and back when you can sit on the workpiece while chopping mortises. In the photo, I'm not overcome with exhaustion (although this bench build would've liked to kill me), I'm scratching my face. Or crying. *I do not work for Lake Erie Toolworks and in no way benefit from mentioning them in this post.